The Supreme Court today dismissed a PIL seeking disqualification of Bihar Chief Minister Nitish Kumar for “not disclosing” an FIR against him in a murder case in pre-nomination affidavits. “We do not find any merit in the writ petition and is dismissed”, a bench of Chief Justice Dipak Misra and justices A M Khanwilkar and D Y Chandrachud said. The dismissal of the petition filed by advocate Manohar Lal Sharma came after the lawyer for Election Commission said “The petitioner is saying that Nitish Kumar suppressed the fact of FIR in 2005, 2006, 2012 and 2015. Cognisance of the FIR was taken by the court only on August 31, 2009. Only after cognizance is taken he needs to declare. So charges of suppression in 2005, 2006 goes as far as other elections are concerned he had divulged the FIR. So the petition ought to be dismissed. The lawyer for Election Commission convinced the bench all these facts from the records. It is correct. “Election Rules say that he (Nitish) should declare it after the trial court takes cognizance of the case and yes it has been done,” the bench said. EC also said Sharma’s plea was not maintainable as he did not avail of the specific statutory remedy provided under Section 125A of the Representation of People’s Act and rather chose to approach the commission directly. “It is submitted that the present writ petition is not maintainable before this court on account of the fact that the petitioner herein willfully and deliberately chose not to avail of the specific statutory remedy provided under section 125A of the Representation of People Act, 1951, instead directly approached the Election Commission of India”, it said. As per Section 125 A, if any voter spots any discrepancy or falsehood in the details provided by any candidate he has the option to file a complaint or FIR against the concerned candidate. “ECI is not an investigative agency or authority and does not either possess the means or is responsible for conducting an inquiry in order to ascertain if the disclosures made by a particular candidate are true and correct. Furthermore, even the documents provided by the petitioner did not disclose any cause of action for the ECI to proceed against Nitish Kumar”, said the affidavit. Citing another reason for the dismissal of the petition, the EC said the plea was also not maintainable as the relief prayed for clearly reveal that no fundamental rights of the petitioner or of the citizens of this country have been violated in any manner what so ever warranting the interference of the SC and the aspect was mandatory in a public interest litigation. “It has been laid down in several decisions that the extraordinary original jurisdiction can only be exercised where the enforcement of any fundamental rights is concerned”, the affidavit said. Going into the merits of the case, the EC affidavit said: “Nitish had disclosed the fact in 2012 but in so far as the year 2015 is concerned, what is interesting to note is that he did not contest the 2015 Assembly Elections and so there is no question of filing it”. 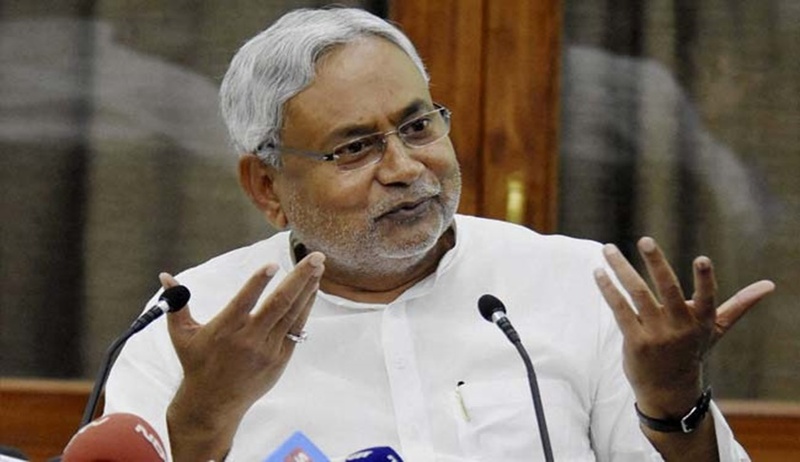 Sharma had further claimed that Nitish never opted for bail in the non-bailable offence since 1991 due to his constitutional office power and succeeded in getting the police to file a closure report after 17 years. But the SC refused to go into it.